Cord is such a great, friendly, courteous person. Always checking to make sure our needs are taken care of. Enjoy seeing him each week. Brightens our day every time he comes in. He is awesome. Thank you Cord! Tony did an outstanding job with my water softener installation. It was necessary to replumb the water filtration system to make a clean installation. Well done! John W. was great. He ran water tests on both the softened water and water straight from the city (Portage) and he adjusted our water softener as it was running way too much. Every step of the way, he explained very clearly what he was doing and what he was trying to accomplish. I bought this water softener from Gordon Water and thought I might have to have it replaced, but it just needed a couple of simple adjustments. John did tell me what parts may fail (the unit is 10 years old) in case something does go wrong. Overall, the money I paid for the service call was money well spent. John was great. He was very communicative and professional. I feel he went above and beyond what was expected. My next call to Gordon will be to request John W.
The service tech was very professional and helpfull with my new water system. I definitely felt like he went above and beyond during the install and helped me better understand how the system works. I would recommend Gordon Water Systems to anyone looking to get soft water for their home. Tony was prompt, courteous and efficient. I’m very thankful for John Weirs patience while explaining the issues we were having with our water softener. He explained everything in detail and I felt he was extremely knowledgeable. I would definitely recommend him if you find yourself having any problems with your water softener. I want to rate John Weir with the best rating possible,plus one. He was friendly, thorough and very professional. Showed and reviewed problem and then fixed it in record time. Excellent employee. He now works for Gordon Water in Kalamazoo. John Weir is a terrific technician. Very knowledgeable, willing to answer any questions. A pleasure to deal with. Gordon Water does it AGAIN! Outstanding customer service is a trademark of this company. Today John Weir came out to install some equipment and was professional, courteous, and just plain helpful in letting me know about a potential plumbing issue/water leak that we need to have checked out. Another great addition to the Gordon Water team. Thank you! Very pleased with Tony, he came in and knew immediately what happened. Took all the old salt out and cleaned everything up and now its working. He showed me how to maintain it. Would recommend Tony to anyone who uses soft water in their home. Tony was very informative and very thourough. Tony had a great attitude and had our iron curtain system back up and running in no time. I would recommend Tony to anyone who needs their water quality systems serviced. Tony K always does a thorough job when doing a system check or repair. After a shockingly large water bill, called for a check on our whole house filter. Gordon Water worked with us to get a technician to us pronto. Tony efficiently evaluated the performance of our system, determined it was not the source of excess water usage, but did identify problems we didn't even know about (unit was not softening the water). Worth the service call all the way around. Tony K is the best. 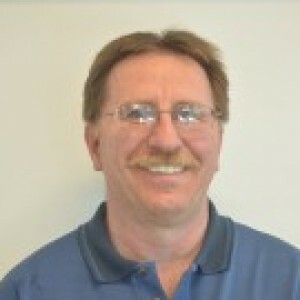 He is a very knowledgeable, efficient and conscientious service technician. Tony is always very friendly, just a really nice guy. I know I will get good service if Tony is the technician. We had a bit of a scheduling hick-up, but after he got here we were very satisfied with his work. He was knowledgeable, professional, efficient, cleaned-up, and took time to explain use of product. Tony was very professional and did a great job! Tony was knowledgeable and professional. Thank you for programming my water softener. Tony just left her home and he did a terrific job and was absolutly amazing, the card requested a feedback so alice jones is more than satisfied and would like Tony to know he is a great worker. Excellent service. Tony was on time, worked very efficiently, explained everything and went over system with me. Repair came in under quote. Will not hesitate to use again or refer to others. Thanks Tony for the great service. Tony K. was fantastic! He took the time to explain everything he did and answer all of my questions. He was very professional, but not stuffy, fixed the problem in a reasonable amount of time and was very thorough! Extremely knowledgeable and friendly! Highly recommended! Toni was very prompt and thorough. He is very knowledgeable and explained everything he was doing in a helpful and understandable way. I appreciate the tips he gave me on how to keep my system running at top efficiency.